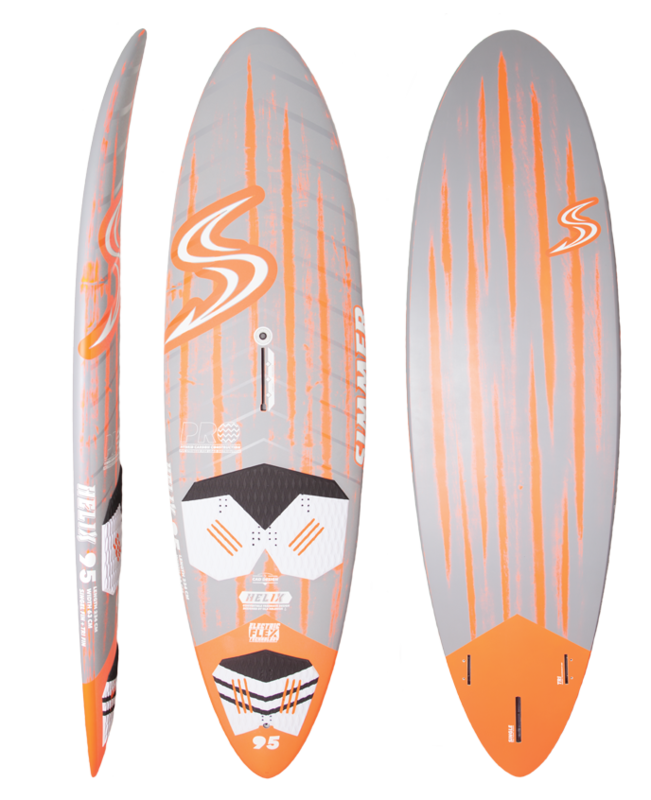 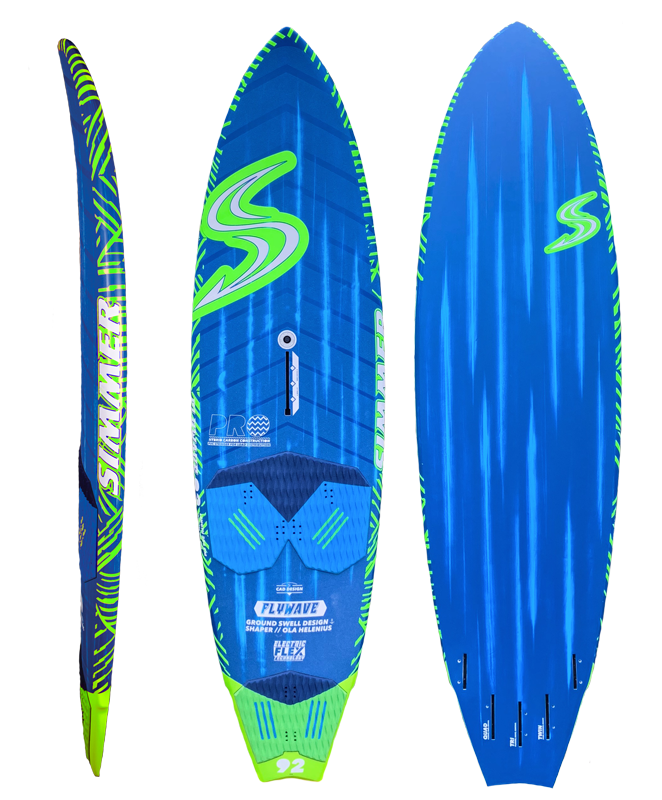 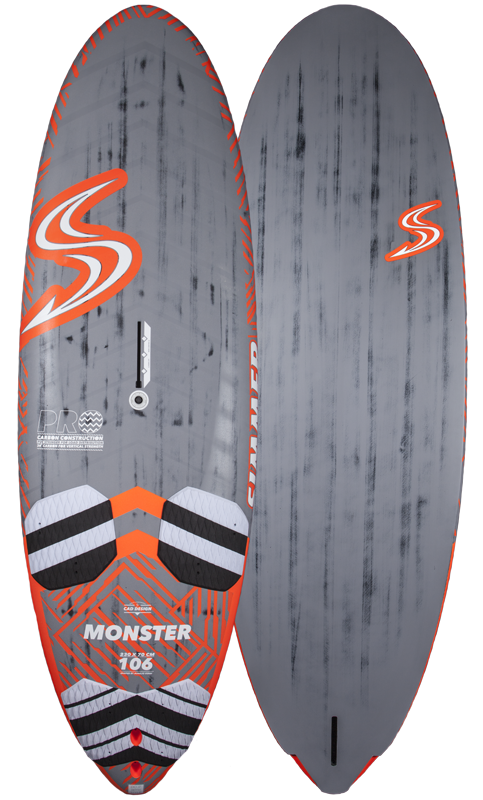 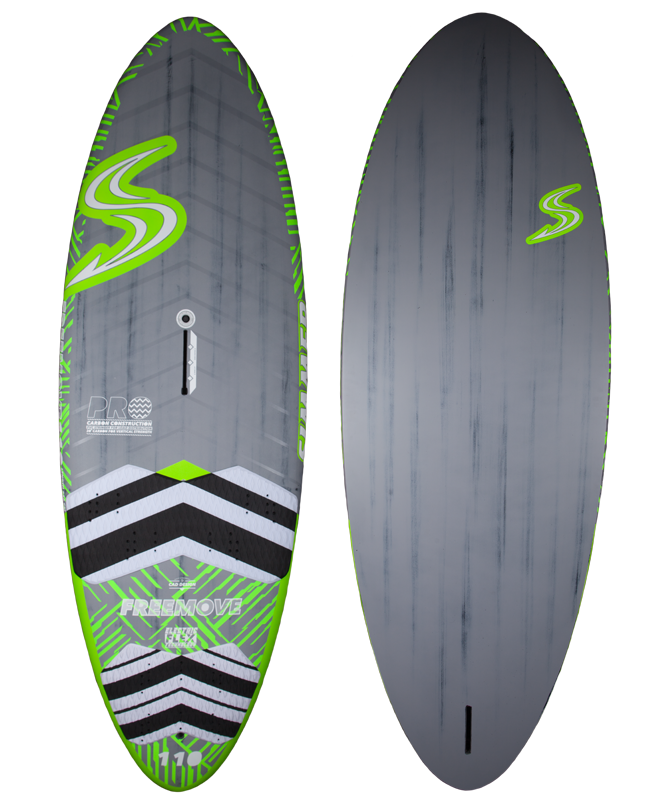 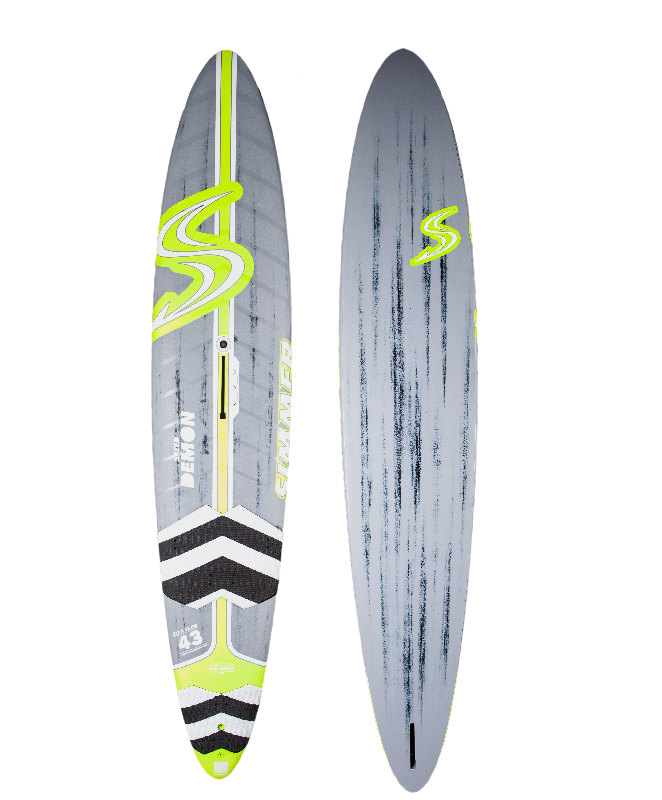 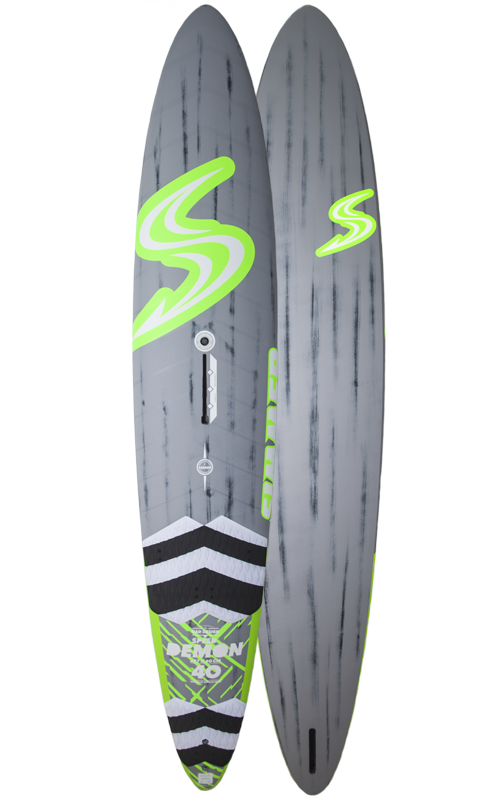 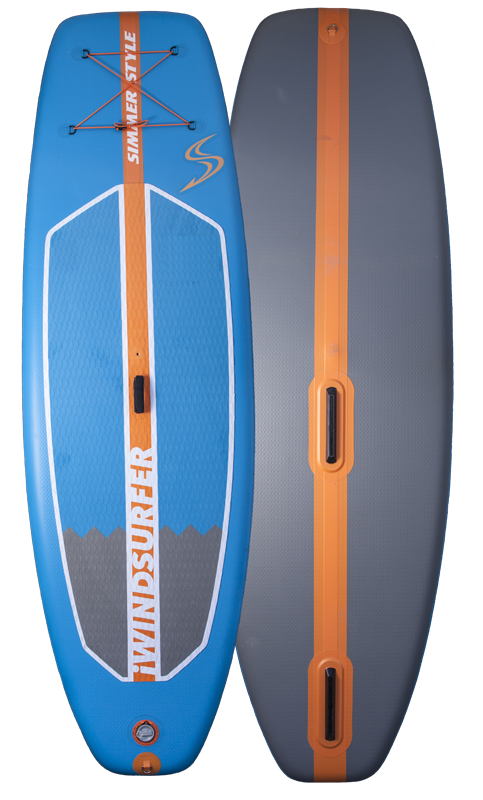 Equipped with a quad fin setup, the Flywave G4 rides with more grip and control at higher wave riding speeds. 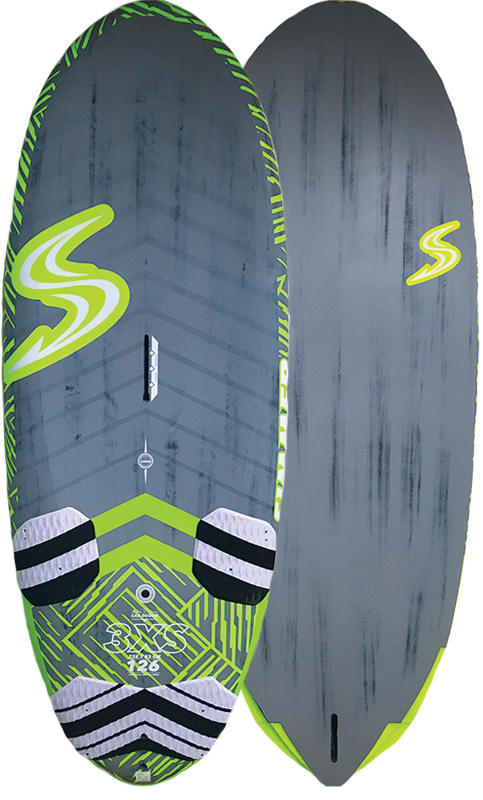 The power of the fin cluster acts further forward, which drives the front rail into the water and gives the board added control in drawn out turns. 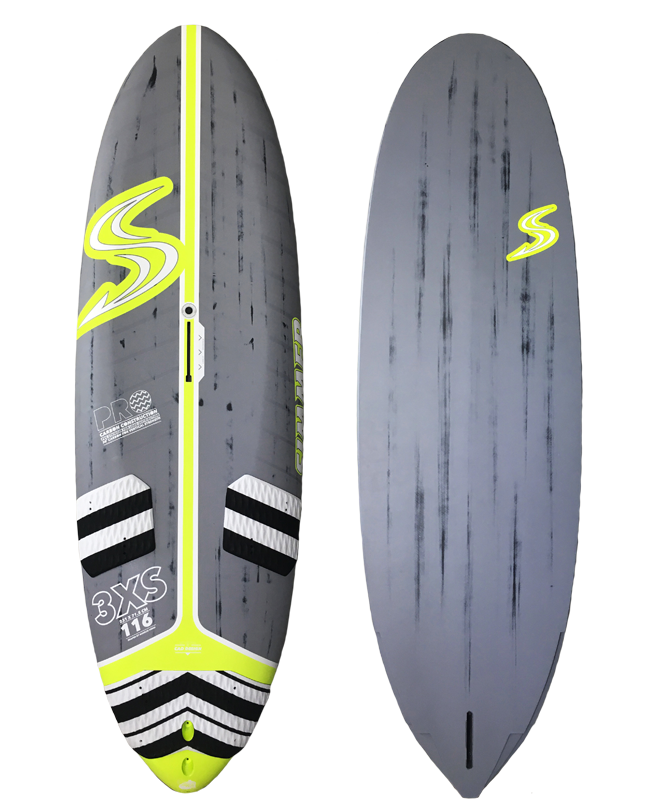 At the same time, the shorter depth of the two rear fins makes it easier to set the rail at high speeds which means that the board feels more responsive in fast side shore or cross offshore conditions and in any situations where containment of speed trumps production of drive. 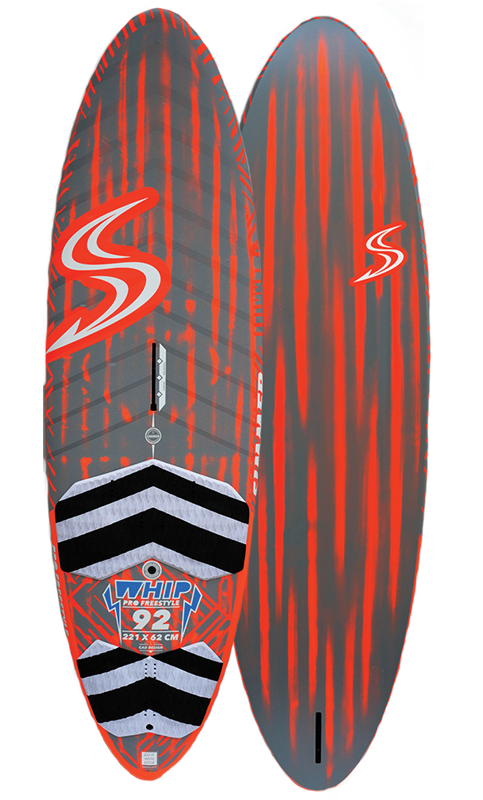 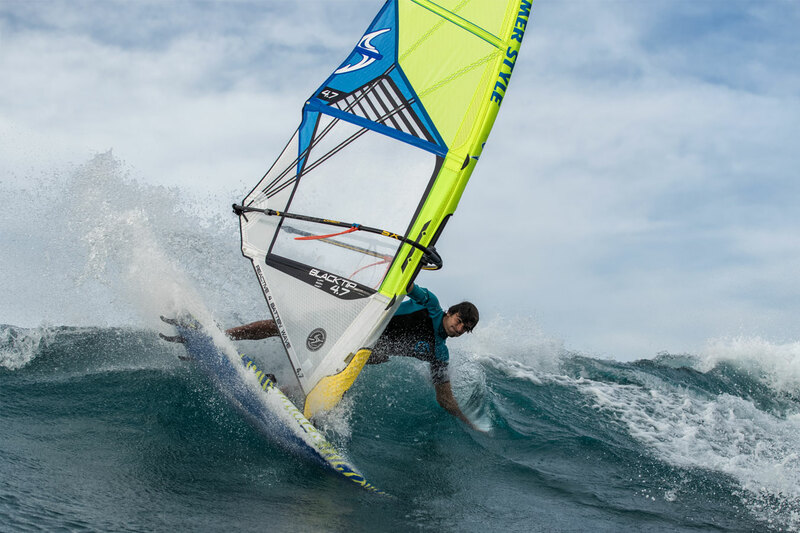 On the wave, the Tri Fin setup will give you the best possible projection and drive in turns, assisting the sailor in drawing aggressive turns in fast clean waves as well as in keeping speed through the bottom turn in less powerful waves. 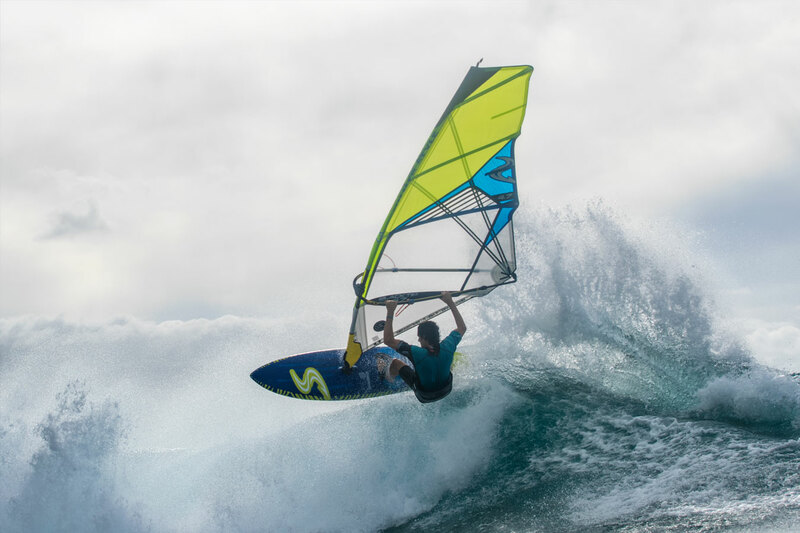 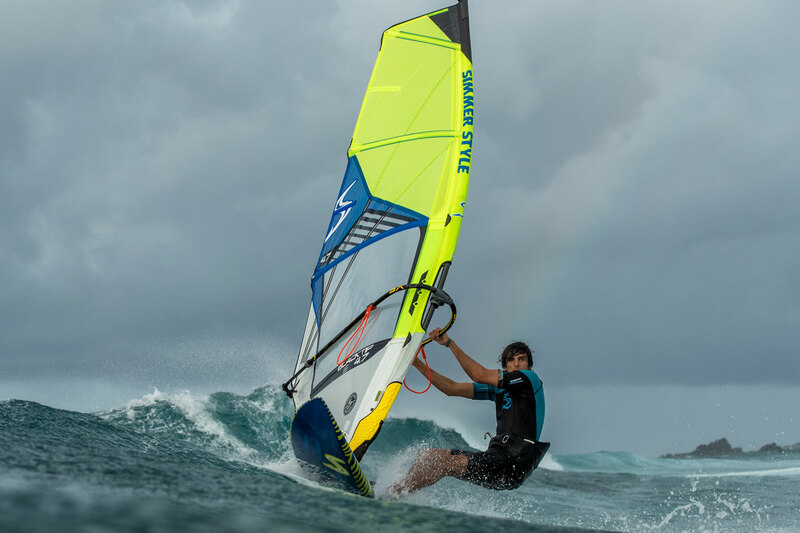 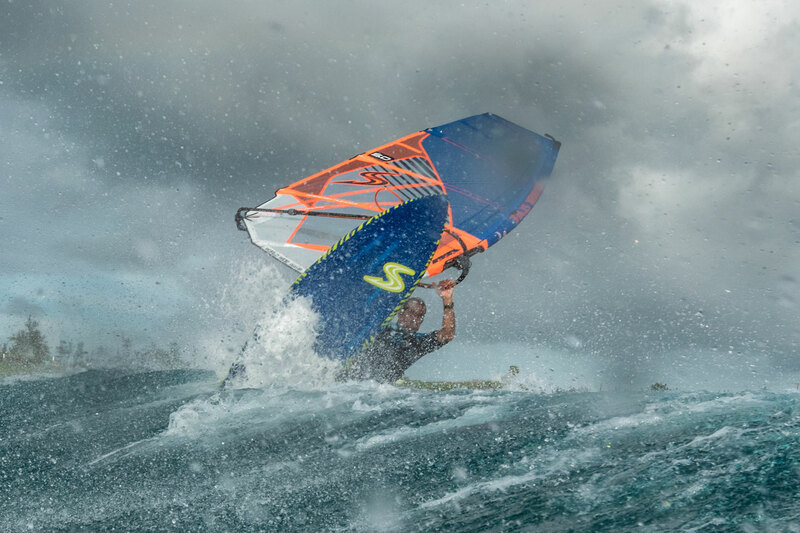 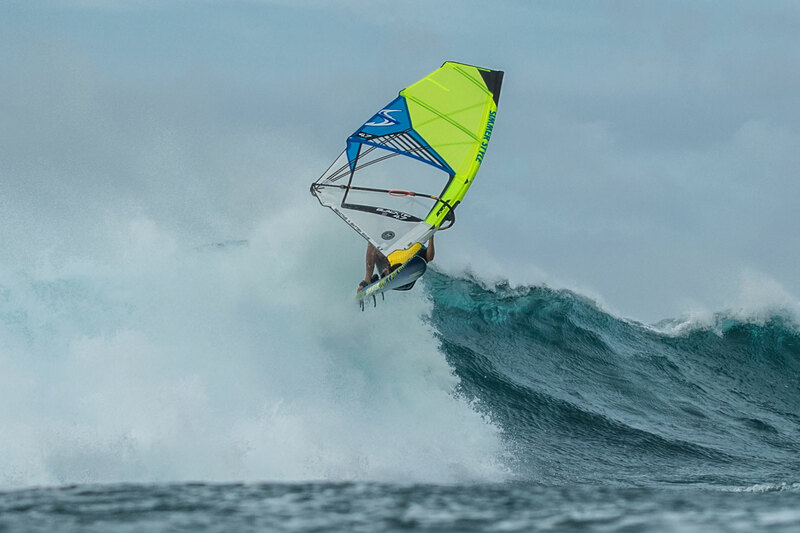 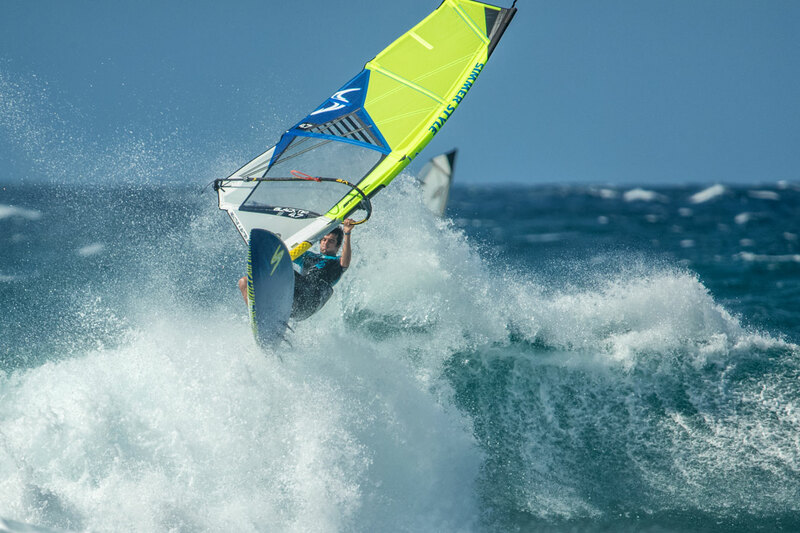 The Tri Fin setup will provide early planing, great upwind tracking and ease of sailing while still providing a insanely tight turning radius. 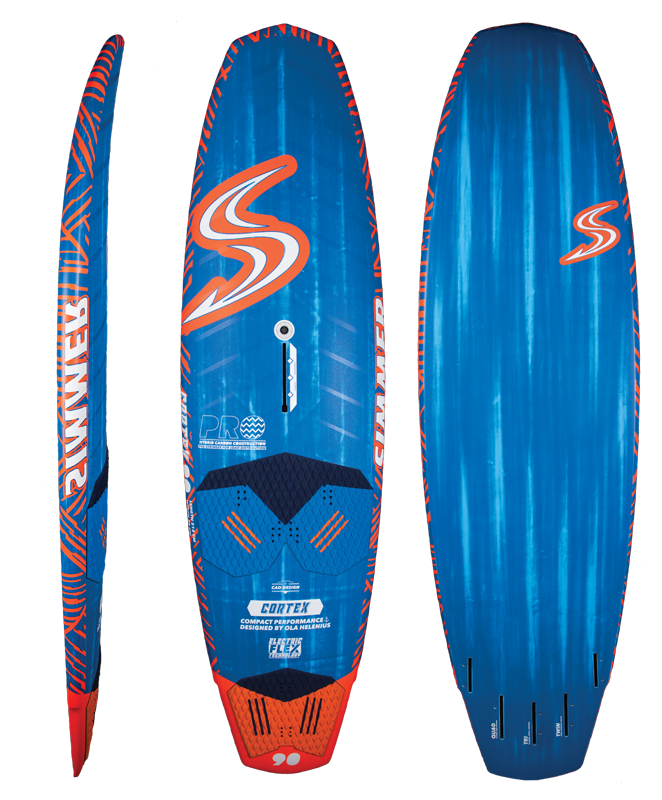 Versatile and snappy with a dependable reliability are the main characteristics of this setup. 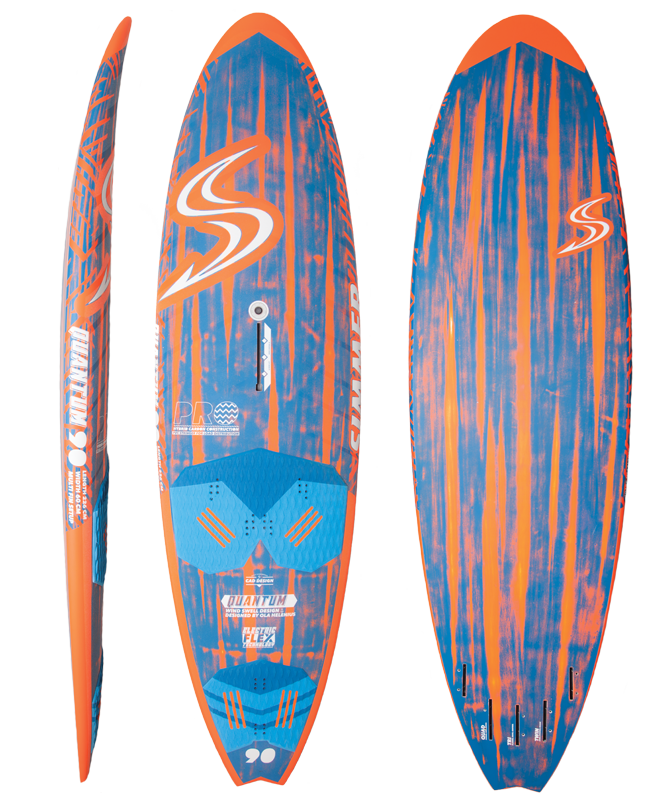 The Flywave comes with 5 carbon slot boxes to allow fine tuning of the riding characteristics by switching between thruster and quad setups.